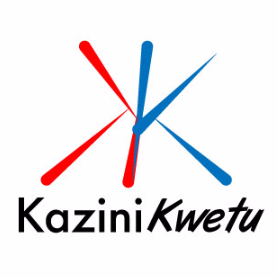 Kazini Kwetu Limited on behalf of the client is looking for HR & Administration Officer to take responsibility as soon as possible. Qualified candidates should apply online and send their CV in Word format. Managing the administration of the Human Resources policies and procedures and also carry out recruitment, discipline, grievance handling, performance management, reward and career development programs. Formulate and implement approved HR policies and procedures and provide professional advice/interpretation to staff on correct application ensuring clear understanding for purposes of compliance. Coordinate the recruitment processes: short listing, interviewing, referencing, and preparation of contracts. Manage the on boarding process and prepare and coordinate the Induction Program. Ensure that Probation objectives are set and follow-up on probation assessment for timely decision making. Coordinate performance management systems to ensure full participation of all staff and timely evaluation bi-annually, prepare appropriate reports for management action and ensure Performance Improvement Plans implementation. Preparation of employment contracts and timely Work permit application for expatriate staff. Develop and implement career development programs such as succession planning and talent management to ensure that the Company retains high calibre staff and plans for key roles. Assist in formulation of job descriptions and updates of organizational and departmental charts. Develop and implement the reward program that reflects the business strategy and culture of the organization. Design proactive retention strategies and ensure minimal attrition rates for top talent.